increase their efficiency and shape their offering. ASNA is a network of more than 7,500 independent pharmacies. As such, ASNA’s analytical department have access to a constantly updating treasure trove of internal data, including metrics on individual pharmacy sales, stock levels and promotional campaign results. ASNA’s business analysts wanted to use their data to optimise promotional strategies across their network – but doing so at such scale isn’t easy. Processing data through Microsoft-based applications had become problematic. Lengthy load times and even system failures had become the norm, rendering analysts unable to uncover insight. MS SQL and MS OLAP – ASNA’s existing analytical solutions – were buckling under the weight of ASNA’s datasets. The applications could take up to 8 minutes to open and often failed to open altogether. ASNA were in need of a solution that could analyse more than 1.5 billion rows of data. With 150 staff and 30,000 external users each in need of access to ASNA reports, it was essential the firm’s new solution could serve a large number of concurrent users. The company desperately needed a new platform that could provide seamless, simultaneous access to all. Due to the length of time needed to prepare data for analysis, report-completion at ASNA took a minimum of 3 days – often rising to 7 for more complex data queries. A simplified, highly efficient piece of software was vital to easing the burden on the company’s IT infrastructure. 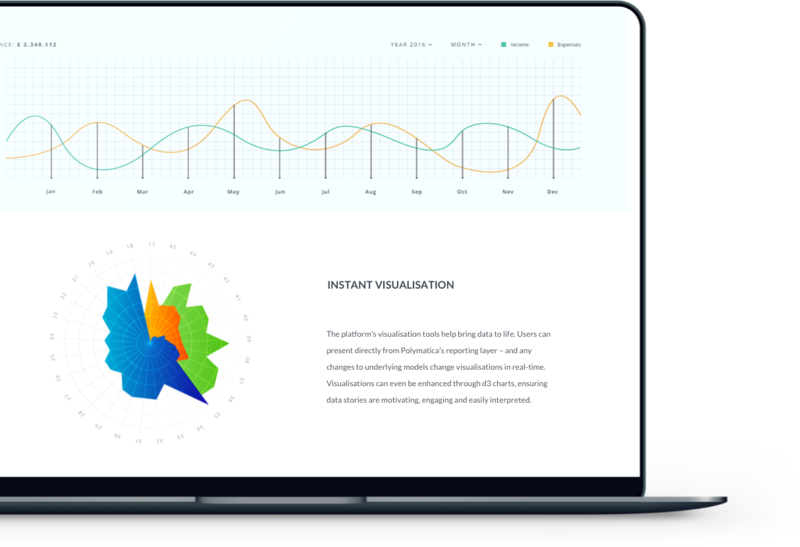 ASNA needed a lightning-quick, large-scale business intelligence platform. We worked with ASNA analysts to implement Polymatica; a solution we knew would be up to the challenge. Our software’s unique algorithm intelligently distributes computations between in-built GPU and CPU processors, facilitating the analysis of billions of rows of data in seconds. ASNA also needed a BI solution that scaled to support thousands of concurrent users. Polymatica was developed with the ability to support an unlimited number of users – so were confident it would be the perfect fit. Since Polymatica’s implementation, analysis lead times have reduced by as much as 85%. ASNA’s monumental datasets can be interrogated at the click of a button. The platform processes ASNA’s 2 years’ worth of data from thousands of pharmacies effortlessly, offering analysts timely insights that might otherwise take weeks to uncover. Thanks to Polymatica, data now plays a role in defining ASNA’s commercial strategy. With complex data queries now possible through a few clicks of a mouse, there’s no limit to what the business can learn from their data. ASNA have already launched new services after spotting key trends. The company is now set to begin personalising marketing campaigns, marketing to in-store customers in real-time and using their data to increase online sales.